Antibiotic resistance has become one of the biggest public health epidemics of our time. While national data on hospital acquired infections is still elusive, the Indian government admits that 80% of antibiotics are used in the community, and that 20-50% of all antibiotic use is inappropriate. For some chronic diseases like tuberculosis, the problem of multi drug resistance is already becoming more of an issue than the disease itself. According to the Public Health Foundation of India, India records 70 000 new multi drug resistant tuberculosis cases every year. Sooner or later, experts warn, we are in real danger that these previously “curable” diseases may become “uncurable,” simply because the drugs will no longer work, or will only partially work. While there’s still an onus on researchers to find newer drugs for chronic diseases, experts say, it is the problem of antibiotic resistance, growing at an alarming rate in India, that’s a bigger cause for worry. There simply isn’t enough research to find newer antibiotics for a problem that is reaching epidemic levels. “The fact is that we are soon approaching a stage where you as an individual will know someone who died of a drug resistant infection. Ten years ago we didn’t really have many issues with carbapenem resistance in gram negatives and now we have a class of bacteria called entro-bacteria and we have very common carbapenem resistance.” says Center for Disease Dynamics, Economics & Policy (CDDEP) director, Ramanan Laxminarayan. There are multiple reasons why the epidemic is progressing so fast in India. Firstly is the unsupervised over the counter sale of antibiotics in the country. This alone is a major reason why there is so much antibiotic overuse, or misuse, in the community. Whether it is people re-using prescriptions, or pharmacists prescribing powerful antibiotics without a prescription, both in urban and rural India, rampant antibiotic misuse is happening at all levels with few remedial measures. Secondly, there is a lack of awareness in the community as to what the antibiotics should or should not be used for. Underdosing and overdosing with antibiotics is a common practice going unchecked. A sample survey conducted by the World Health Organization in New Delhi in April 2011 revealed that more than half (53%) of Delhi-ites surveyed self prescribe antibiotics. One in four of those surveyed stop taking them once they felt better, instead of finishing the entire course. Another one in four Delhi-ites (25%) treat regular fever with antibiotics, and 18% of those surveyed re-use antibiotics in the family. According to the study, 16% to 18% physicians said they prescribe antibiotics for non-specific fever, cough, and even diarrhoea. Thirdly, an increasing number of doctors are prescribing increasingly powerful antibiotics, which is leading to abuse of a wide variety of antibiotics, because of the two above mentioned factors. Doctors at tertiary care hospitals would tell you that it has become an “egg and chicken” situation. There is also no national data on infection control at a hospital level, and there are not enough checks in place. Institutions like the All India Institute Of Medical Sciences in New Delhi have a voluntary code and hospital infection control measures, and so do many of the big private hospitals, but apart from a handful of institutes like these who are self monitoring, the majority of primary, secondary, and tertiary care hospitals across the country, are answerable to no one. For such a large epidemic with no easy solutions, no one is being made accountable to anyone. Not yet. And lastly, from a public health point of view, simply not enough is being done to combat the epidemic itself. The Indian health ministry’s much publicized national antibiotic policy to curb drug resistance was shelved in October 2011, indefinitely. With that, measures like banning over the counter sale of third generation antibiotics, colour coding the antibiotics according to their class, were also shelved. This even though the health ministry itself admits that 20-50% of all antibiotics use in India is inappropriate. The argument in India has been that if over the counter sale of antibiotics was discontinued, in many parts of India, especially in rural places, people will be left without any access to any antibiotics at all, as there are no or not enough hospitals and doctors stationed there to prescribe them in the first place. In many such areas, the pharmacist is often the person who prescribes the antibiotics. So if over the counter sale of antibiotics was clamped down on, it may become life threatening for people in far flung areas. The health ministry in India, therefore, decided to do away with the entire policy. But is that really the solution? Or rather, are there no other solutions? So is the health ministry listening? A national policy is much needed. Otherwise, to reach out and streamline the healthcare system in the country is a near impossible task. It is not enough to have a handful of conscientious medical professionals or hospitals in the country doing all that they can do to control the problem. The national policy could regulate the over the counter sale, enforce, and regularly keep a tab on strong infection control measures at the hospitals across the country. More importantly, it make pharmacists, doctors, medical professionals, and healthcare institutions alike accountable for it. It will save lives across all age groups and demographics and from many diseases. Until then, it just remains India’s uncomfortable truth. I declare that that I have read and understood the BMJ Group policy on declaration of interests and I have no relevant interests to declare. 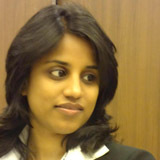 Shalini is a television health journalist from India, working with one of the national news channels in India, CNN-IBN (Indian affiliate of CNN International). She has been covering disease outbreaks, medical breakthroughs, and has been extensively reporting on public health epidemics for the last eight years.